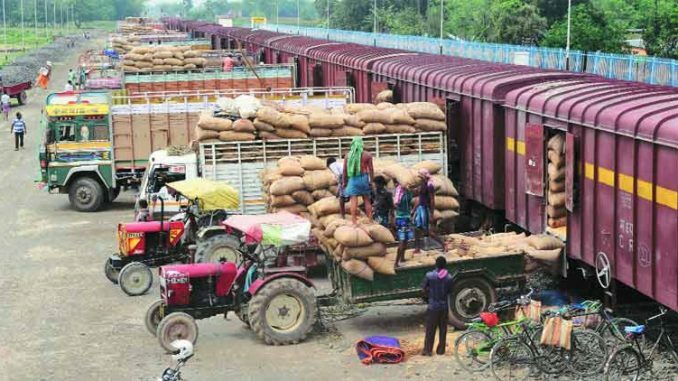 MUMBAI: The government should increase agricultural exports to achieve the stated objective of doubling farmers’ income by 2022, according to a recent study conducted by the Centre for Environment and Agriculture and Tata Strategic Management Group. Globally, India ranks second in agricultural production at $367 billion but is only pegged eighth in exports at $36 billion, said Rajju Shroff, Managing Director, UPIL (United Phosphorus India Ltd). Global agri-exports is worth over $1,500b annually, according to the latest WTO data. A concerted effort by the government can push exports to $100b by 2022, as India is the leading producer of many commodities, he said. Globally, India is the largest producer of milk and second-largest in fruits, vegetables and fish. In value terms, horticulture and livestock sectors now account for over 50 per cent of agri-production. India’s present agriculture is structurally different from the one that existed earlier. However, Indian agri-products are not promoted properly in the global market. Though mango production is much higher here, Pakistan exports more than India. Thailand’s overall exports is much higher than that of India, said Shroff. The Centre for Environment and Agriculture has urged the government to make it mandatory for airlines to allocate 30 per cent of air cargo for agri-exports, and use the services of the Indian embassy in various countries to promote exports. On the lines of the ‘Make In India’ campaign, the report urged the government to launch ‘Grow In India’, and aim for substantial gains in agri-exports with a single authority to monitor India’s international agri trade. The study debunked popular notions about farmers injecting hormones and using colouring chemicals to improve the colour and size of certain fruits. The health scare about pesticide residue in food is a malafide campaign propagated by foreign-funded NGOs to tarnish Indian agriculture, said Shroff. The usage of crop-protection chemicals in India is the lowest at 0.4 kg per hectare (kg/ha) compared to 17 kg/ha in China, 12.5 kg/ha in Japan and 3.7 kg/ha in Germany and France, said the study.